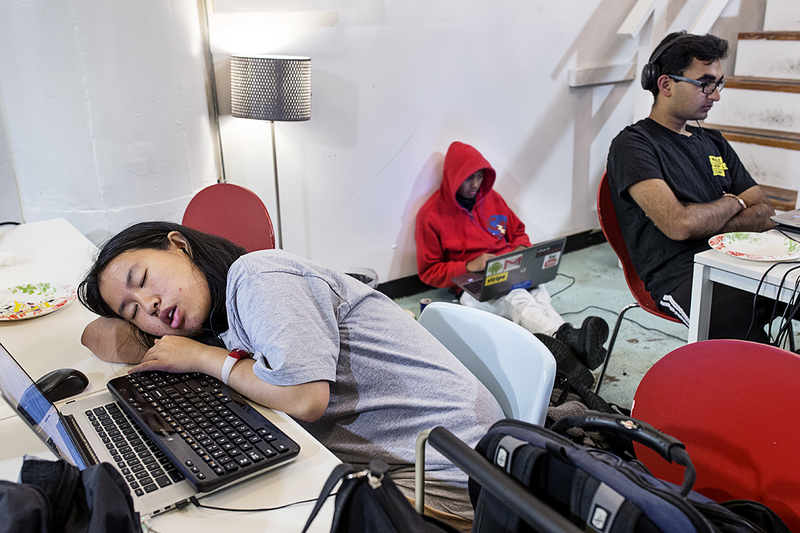 A participant in a hackathon organized by the company Shirts.io sleeps at her computer during the event at Citizen Space in San Francsico, Calif., on Saturday, August 16, 2014. Hackathons are events usually lasting a few days in which computer programmers and others involved in software and hardware development collaborate on a project over a set period of time, often while competing for awards and prizes. This hackathon lasted 37 hours and many participants stayed the entire time, taking breaks to sleep where and when they could.